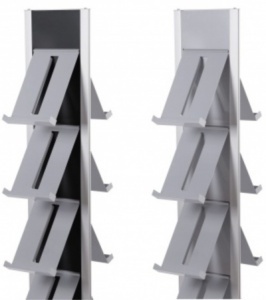 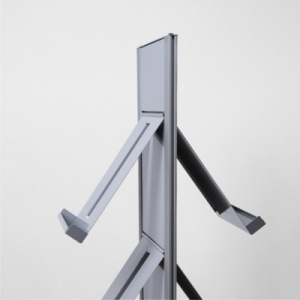 The BRT is a stylish high quality freestanding brochure display holder. 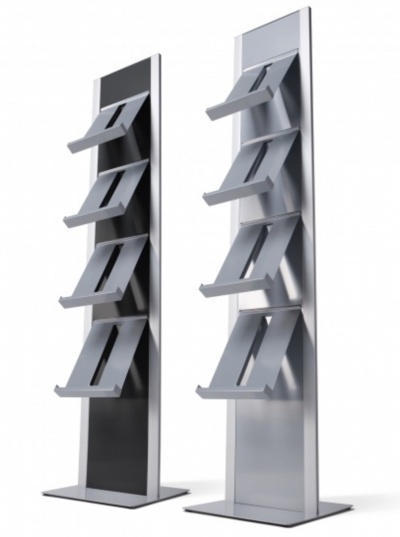 Available in single or double sided models you can choose between a silver or a powder coated black back panel. 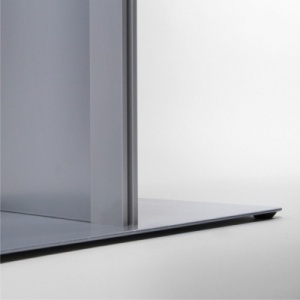 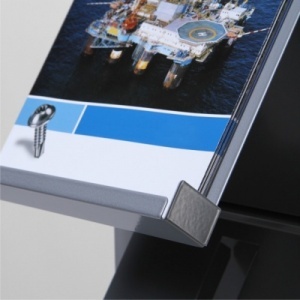 Supplied with durable slot in A4 steel brochure trays the BRT is easy to assemble with Allen key fixings to the base. 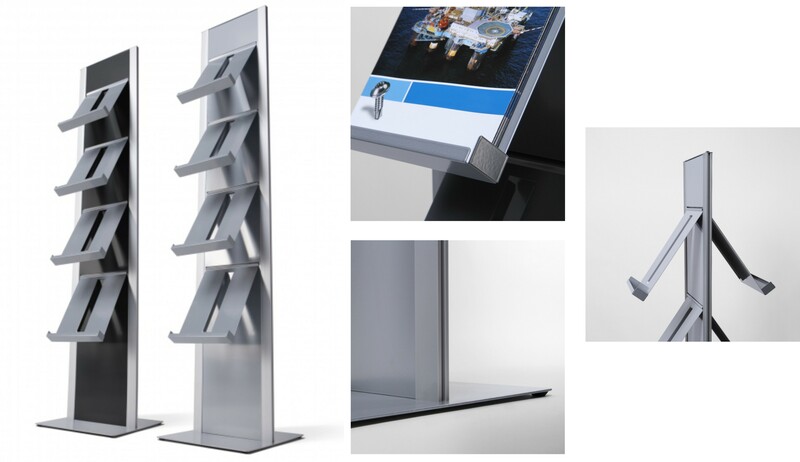 The BRT range also includes wall mounted brochure displays which are available separately.